Here are some chess books available from Google books with full view. A Complete Guide to the Game of Chess, From the Alphabet to the Solution and Construction of Problems, by H. F. L. Meyer, written in 1881 and published by Griffith & Farran in London in 1882. This 283-page book contains chess elements, games, problems, and historical notes. The book uses a strange chess piece notation of K, L, M, N, O, P for King, Queen, Rook, Bishop, Knight, and Pawn. Meyer calls the pieces King, Lady Queen, Monument, Neighbor, Over-Leaver, and Pawn. He wrote that an American writer proposed the names Keeper, Lord, Master or Minister or Mammoth, Nobleman, Overseer, and Peasant. The proposal to use the letters K to P for the pieces was first made in O.A. Brownson’s, Chess Journal, of Dubuque, Iowa in 1875. This book is downloadable in PDF format from Google books. Chess, a Christmas Masque, by Louis Taylor, published in London in 1888 by T. F. Unwin. It is a 112-page Christmas poem about chess. The book can be viewed by not downloadable from Google books. Chess in Iceland and in Icelandic Literature: With Historical Notes on Other Table-Games, by Daniel Willard Fiske (1831-1904), published by the Florence Typographical Society in 1905. This is a 400-page book dealing with chess (skak) in Iceland. Willard Fiske died on September 17, 1904, so this book was published after his death. The book was completed by the help of George Harris, Librarian of Cornell University and Helldor Hermannsson of Reykjavik, Iceland. Fiske was Cornell University’s first University Librarian as well as Professor of Northern European Languages. Chess was probably introduced to Iceland around 1190 and there are many Icelandic sagas mentioning chess. This book is downloadable in PDF format from Google books. Chess Rendered Familiar by Tabular Demonstrations of the Various Positions and Movements, as Described by Philidor, with Many Other Critical Situations and Moves, and a Concise Introduction to The Game, by John George Pohlman, published in London in 1819 by Baldwin, Cradock and Joy. This 449-page book contains games and variations, mates and endgames, blindfold games, and Philidor’s (1726-1795) notes on particular moves. The chess pieces in the chess diagrams look strange, especially for bishop, queen, and king. The book has a diagram for every position, almost 2,400 diagrams. The book can be viewed by not downloadable from Google books. Chess Stars: A Galaxy of Self-Mates, by John Augustus Miles (1817-1891) was published in 1888 in Norwich by T. J. Miller, Jr.. It contains 82 pages of 130 self-mate problems. This book is downloadable in PDF format from Google books. Practical Chess Grammer: Or, An Introduction to the Royal Game of Chess; in a Series of Plates, by William Stopford Kenny, first published in 1817 by T Miller of London. This is a 57 page book that leads the learner, by a series of plates, to a self-taught knowledge of the game. It includes general maxims and rules, laws of chess, 59 examples of openings, mates, and situations, and some chess anecdotes. This book is downloadable in PDF format from Google books. Studies of Chess; Containing Caissa, a Poem, by Sir William Jones; A Systematic Introduction to the Game; and The Whole Analysis of Chess by Mr. A. D. Philidor, first published in London in 1804 by Samuel Bagster (1771-1852). This 264-page book contains a poem about Caissa, the muse of chess, written by Sir William Jones (1746-1794) and chess analysis by Philidor. Sir William Jones wrote the poem in 1763, inspired by a Latin poem by Vida, entitled Scacchia Ludus, which was translated into Italian by Marino. The poem tells the invention of chess by Mars. Following the poem is a section on chess rules and general maxims. There is also a section on example openings, games, and variations, followed by chess analysis by Philidor. There is also a section on the Cunningham Gambit. This book is downloadable in PDF format from Google books. The Book of Chess by George Hornsby Selkirk of Bristol, published in London in 1868 by Madgwick Houlston & Co. 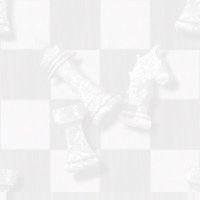 The cover shows a chess diagram with the board set up wrong (the h1 square is on a dark square instead of a white square). This 439 page book contains a history of the game, the board and men, explanation of technical terms, laws of chess, observations on the pieces, 60 introductory games, openings, games at odds, endings, blindfold chess, and 78 chess studies. The book can be viewed by not downloadable from Google books. The Bristol Chess Club: Its History, Chief Players, and 23 Years’ Record of Principal Events, selected, arranged, and written by John Burt of the Bristol Chess Club, published in 1883 by J. Fawn and son in Bristol. This 202-page book contains the history of the club, and includes 151 games, problems and endgames by 64 Bristol Chess Club members. The club was founded by Elijah Williams (1810-1854) before 1840 and, at one time, had 120 members. The book can be viewed by not downloadable from Google books. The Chess Bouquet: or, The book of the British Composers of Chess Problems, compiled by F. Richard Gittins, first published in 1897 by Feilden, McAllan & Co. It is 257 pages of chess problems by a variety of British chess composers. It contains portraits, biographical sketches, essays on composing and solving, and over 600 chess problems. The book is dedicated to E.N. Frankenstein. This book is downloadable in PDF format from Google books. The Chess-Player’s Handbook. A Popular and Scientific Introduction to the Game of Chess, by Howard Staunton (1810-1874), written in 1847 and published in London in 1890 by George Bell & Sons with a new edition by R. F. Green, editor of the British Chess Magazine, that includes an alphabetical list of all the principal openings in an appendix. The cover of this 544-page book shows a chess diagram with the board set up wrong (the h1 square is on a dark square instead of a white square). The book includes many openings and endgames. The Works of Gianutio, and Gustavus Selenus on the Game of Chess, translated and arranged by Jacob Henry Sarratt (1772-1819) in 1816 and published in London in 1817 by J. Ebers. Orazio (Horatio) Gianutio del Mantia was born in Turin in 1565 and wrote Libro nel quale si tratta della maniera di giucar a scacchi, con alcuni sottilissimi partiti in 1597. It contained some problems and demonstrated six openings. Gustavus Selenus was the pseudonym of Augustus (1579-1666) the Younger, Duke of Brunswick-Lunenberg. He wrote his chess treatise in 1617 and printed in Leipzig. The book is 233 pages and downloadable in PDF format from Google books.